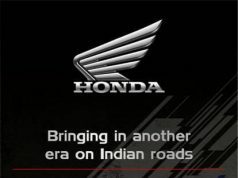 The moment we were waiting for, Honda has announced the price of CB300R in India. 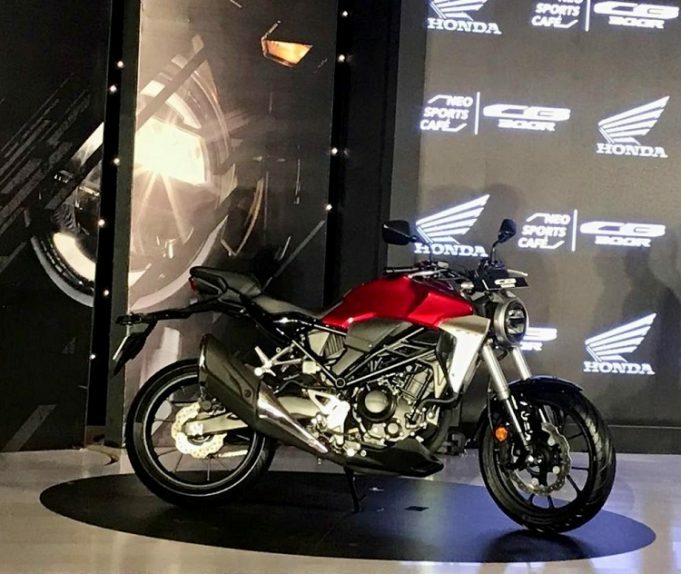 The Honda CB300R price in India is Rs 2.41 Lakh ex-showroom, pan India. 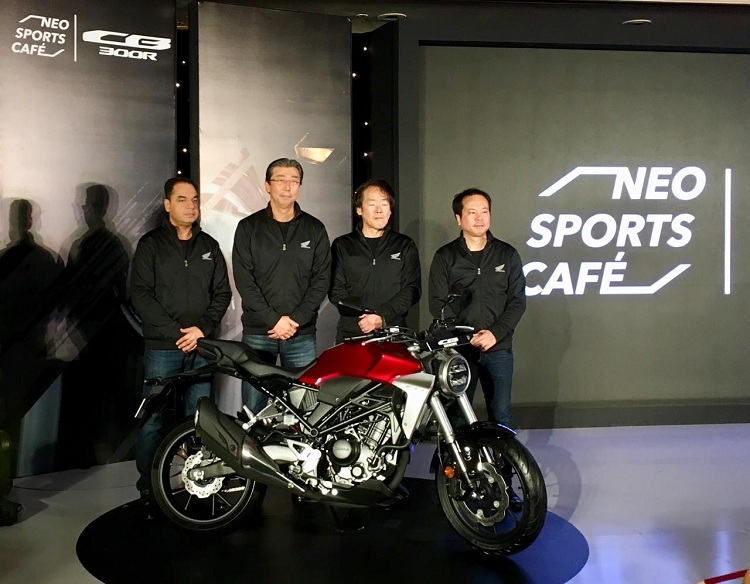 The deliveries of Neo Sports Cafe motorcycle will be available from 3rd week of March 2019. 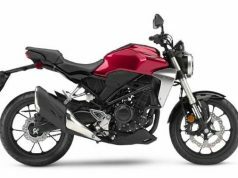 Honda CB300R get its propulsion force from 286 cc single-cylinder, 4-Valve, fuel-injected, liquid cooled engine. 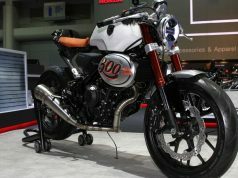 The engine pumps out healthy 31 bhp @8500 rpm and 27.5 Nm @7500 rpm which will be enough considering weight of just 147 Kg. 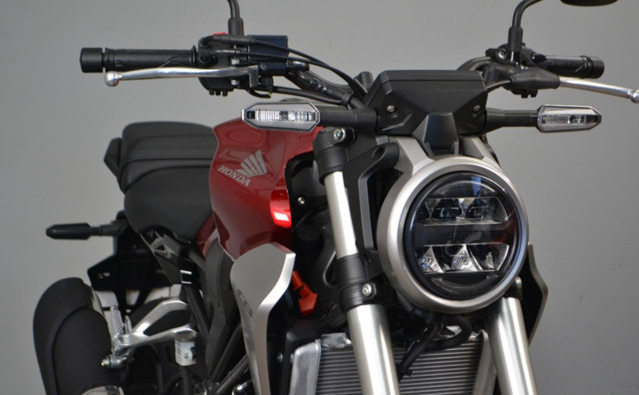 CB300R is loaded with features like LED lights all around, even in turn indicators. A fully digital meter will provide a plethora of information. The feature list also includes instantaneous as well as average fuel efficiency. The frame is rigidly built tubular and pressed steel. The bike has minimalistic looks. Suspension duties are taken care by 41 mm USD forks at front and 7-step adjustable rear monoshock. Both suspensions are made by Showa for international markets. A 40 Degree taper angle is provided at the handlebars which will help maneuver in congested traffic conditions. A 296 mm wave disc with 4-piston caliper in the front and 220 mm wave disc at rear with 2-piston caliper provide necessary braking force. Dual channel ABS will be available as standard. IMU (Inertial Measurement Unit) will be imparting finely-balanced, front-to-rear operation. 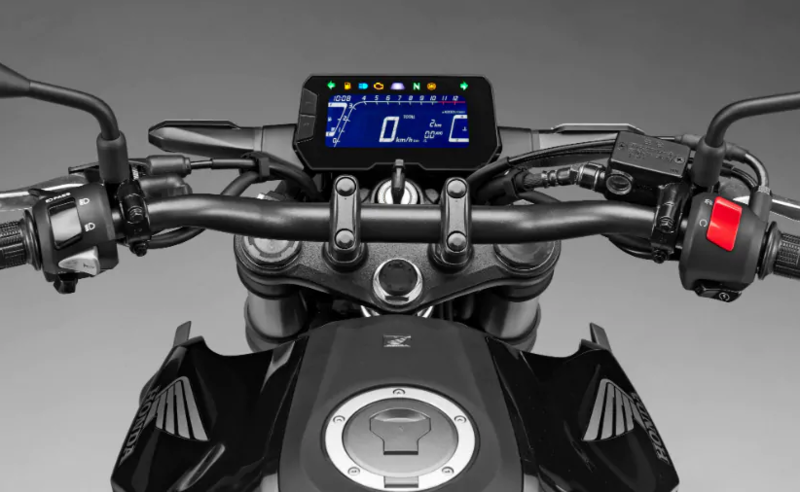 IMU is like having Electronic Brake-force Distribution (EBD) in a motorcycle. The Neo Sports Cafe comes with 17-inch wheels at both ends which are shod with a 110/70-17 tyre at the front and a 150/60-17 tyre at the rear. 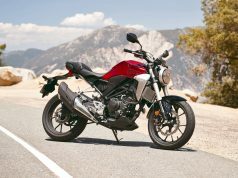 Given its price, the 2019 CB300R is ready to unsettle the KTM Duke 390, BMW G 310 R and even the Royal Interceptor 650 when seen from a price perspective. 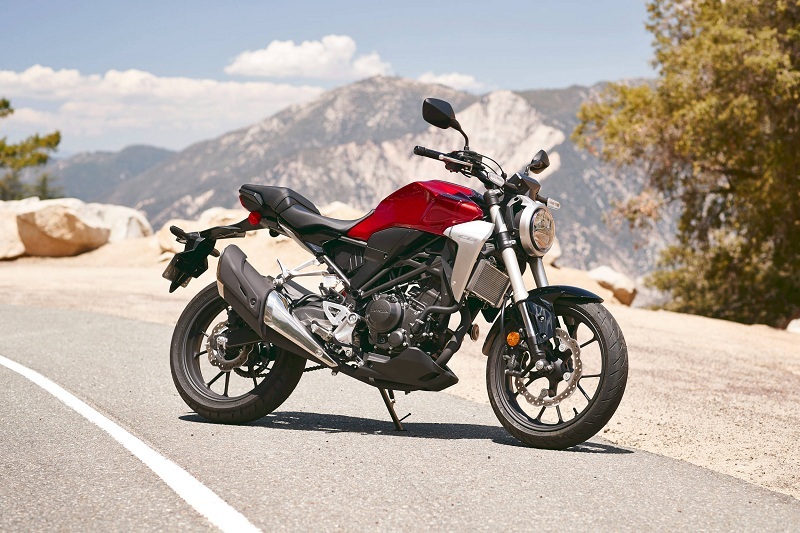 The all-new CB300R will be available in two colors – Matte Axis Gray Metallic and Candy Chromosphere Red. 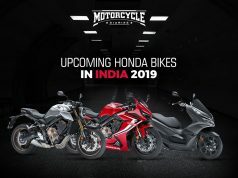 Stay tuned for more information like launch date and price of on Honda CB300R.